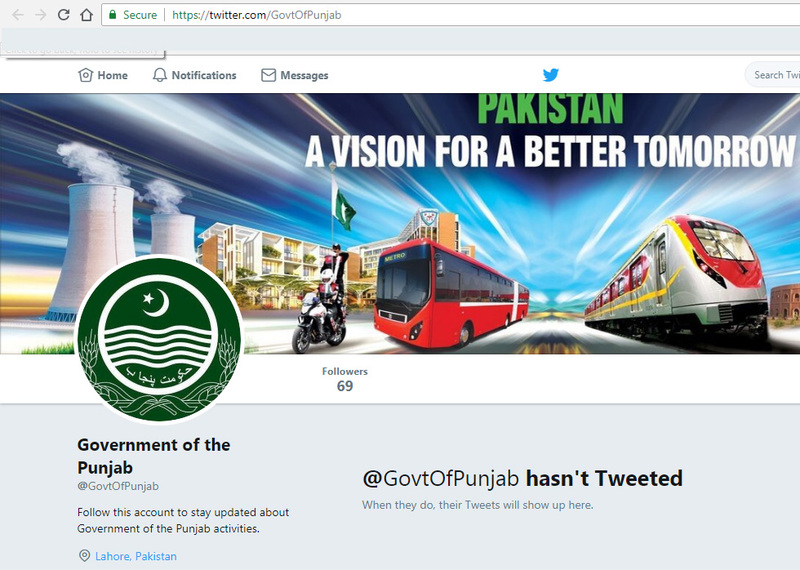 LAHORE: The twitter handle of the Punjab Government, archived by the PML-N as ‘Punjab Government (2013-18)’, has now been deleted and a new one is created which is linked with the official website. The verified social media account, which should have been handed over to the new government, wasn’t accessible to the officials concerned. The Pakistan Muslim League-Nawaz which ruled the province during the last 10 years, created the handle in July 2013 and was seemed reluctant to hand it over. 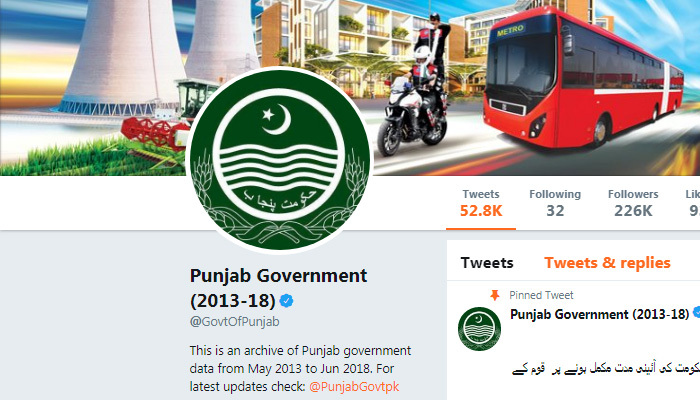 The previous account of @GovtOfPunjab verified by Twitter had more than 2,26000 followers while the new one has just over 50 followers. Talking to The News, PTI Senator Faisal Javed said "this is the property of government, and PMLN has no right to hijack these digital assets, this should be investigated and those responsible should be held accountable". The PTI emerged victorious after the July 25 polls in the country's largest province and has since succeeded in installing its own chief minister. The issue was first highlighted by the newspaper last week. PTI members, according to the report, expressed reservations on the PML-N’s attitude in this regard and have hinted at raising the issue within the next few days. Imran Ghazali, a senior PTI social media team member, said that digital e- government is the reality of 21st century. He said we have also approached Twitter and the issue should be settled down soon. This is a normal practice globally that the official accounts are handed over to the new regime. There are set rules and regulation all over the world for social media accounts but here in Pakistan political parties manage these as party mouthpiece.